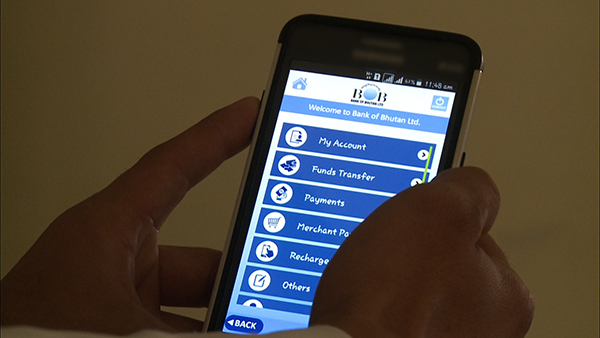 Bank of Bhutan (BoB) has started charging its customers using M-BOB service Nu 10 a month beginning this month. The bank says the service charge is to meet its recurring expenses. The service, started in May last year, allows users online transactions and utility bill payment facilities. The bank’s M-BOB Manager, D.K Chhetri said based on the analysis of users’ strength over the past year, they made a conscious decision to provide all M-BOB services free and charge just a nominal monthly maintenance fee of Nu 10. He said the bank made substantial investments to introduce the service. Apart from maintenance cost, they also incur annual recurring cost for connectivity since the service is linked with Bhutan Telecom. On the other hand, the introduction of service charge has stirred mixed reactions among its users. “The service is reliable and useful. So I think Nu 10 per month is reasonable,” said a resident of Thimphu, Chimmi. Today, there are around 22,000 registered M-BOB users in the country.